Customer support is one area that has witnessed commendable improvement over the years. We never imagined that something like customer care that was once limited to a usual helpline number that we rarely thought of dialing could become integral to industries all over the world. Today, customer service stands at the apex of every successful company. It is not mandatory for every organization to maintain a separate department that oversees the queries and complaints of customers, but a business owner also needs to understand the significance of providing efficient services to the customers. 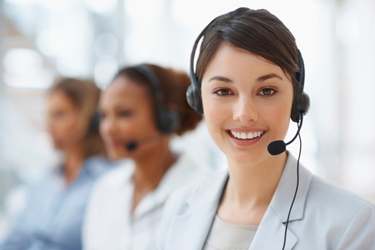 In general, businesses opt for outsourcing contact center services as the last resort. It is a route that is taken by companies when they feel that customer services can actually make a difference in the overall health of their business. However, in the recent past, a paradigm shift has been witnessed in the factors that motivate organizations for call center outsourcing services. At present, more and more companies are contracting out the responsibilities of their call centers to third-parties whose forte lies in such services. Not only does it help organizations focus on the areas in which their competence lies, but also gives them an opportunity to lessen their expenditure. Vcall Global is ready to take charge in the place of its business affiliates in different business segments. We are there to assist your customer at as many touch points as he uses. However, the availability of services through various channels never means that the quality of the service would suffer. We ensure that the service quality is uniform across platforms. As a provider of a variety of customer service outsourcing, we make a point to remind ourselves that our business partners have reposed their valuable confidence in us. Unlike many of our counterparts who provide outsourcing contact center services to a few industries or certain niche industries, Vcall Global surpassed the limits and chose to accept new challenges and take risks. Today, the company is leveraging on the benefits of the valiant efforts that it made some time back. No doubt, the enterprise fulfills the business expectations of its clients in as many industries as one can think of. Customized services available at prices that do not pinch. State-of-the-art infrastructure, software, technology and equipment. Service solutions whose worth do not decrease with time. So, choose our company for call center outsourcing and experience a quantum leap in your business.